A powerful group of MPs has now joined unions in slamming the riskiest sell off of the decade. While East Coast is getting nationalised, another privatisation is going ahead under the radar: the Ministry of Defence are planning to sell-off our military firefighting service. The bidders are scandal-plagued Serco and the financially-precarious Capita. We should all be worried. But while unions have been sounding the alarm for some time, an influential group of MPs has now got on board in challenging the plans. The Commons’ powerful Defence Select Committee has called on the Defence Minister, Gavin Williamson, to rethink the sell-off. 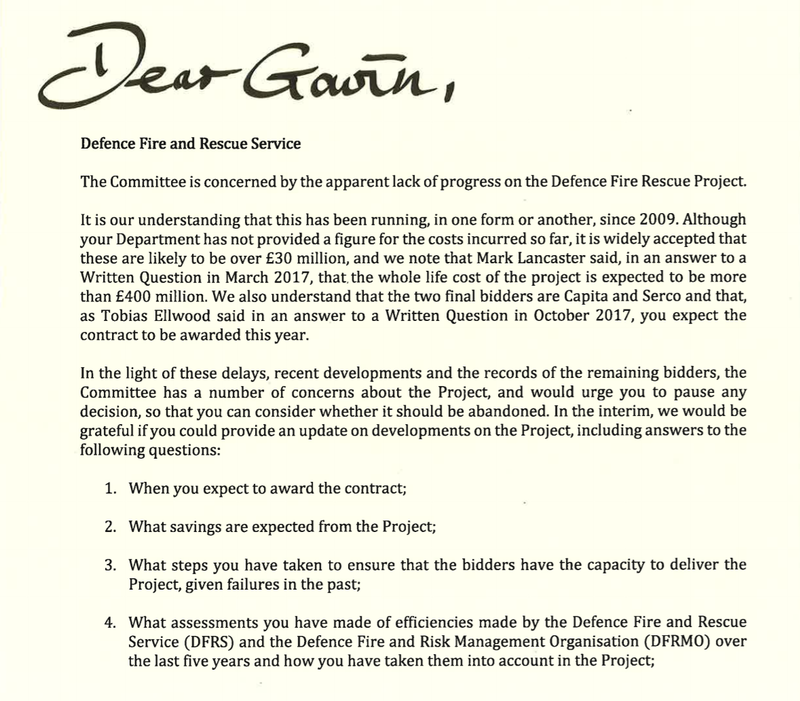 Committee chair Dr Julian Lewis has lambasted ‘the apparent lack of progress on the Defence Fire Rescue Project’. The committee is demanding answers on its concerns from Gavin Williamson by the middle of next month. This is big money for private bidders – and amounts to a huge handover of responsibility over safety management in our military. 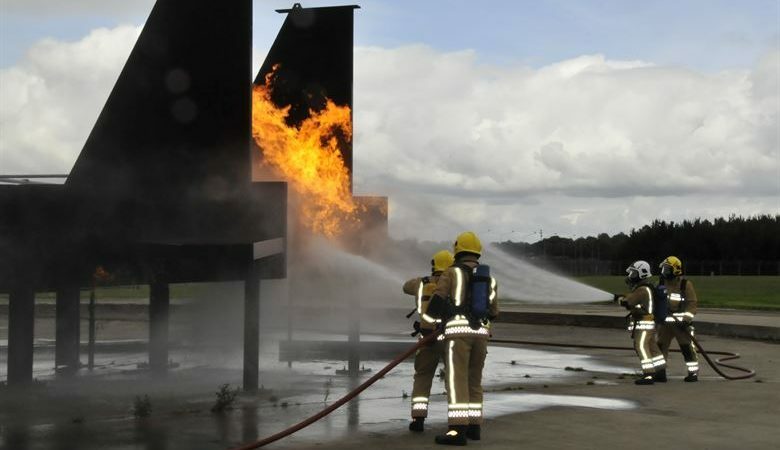 As Unite the Union note, the MoD’s firefighters and defence workers are employed in both civilian and military roles, and are responsible for ensuring the safety of the UK’s military bases both in the UK and abroad. It matters that these jobs are kept in trusted public hands. Between 1,500-2,000 workers are affected by the privatisation policies. “The workforce provide 24 hour, seven day a week service, monitoring and protecting all the MoD’s sites, which includes nuclear submarine bases, airfields and ammunition and munition facilities,” according to Unite. As we noted back in January, imagine the potential security risk – and bailout cost – if the organisation protecting these national assets went bust? Unite – the UK’s largest union, which covers defence – wrote last month to the Select Committee outlining to MPs its serious concerns which centre on adequate provision of cover at bases vital for national security should privatisation take place and ‘value for money’ for the taxpayer. Left Foot Forward has seen a copy of the submission, with the union noting that ‘debt-laden Capita’ said it was having to raise £701 million from shareholders, following a profits warning in January. And in February, Serco saw its pre-tax profits tumble. “The outsourcing process has taken an exceptionally prolonged period of time, indicating the complexity of the service, the inability of the bidders to reach mandated requirements financially or capability wise and we are not there yet. “Nine years have passed in trying to ensure DF&RS [the defence fire and rescue service] is moved to private sector industry. This is after previous other projects of a similar ilk failed, which the last one at completion in 2005 indicated Defence was best served via the in-house service currently employed. “We welcome the intervention of the select committee in calling for the defence secretary to institute a pause while the full implications of what is envisaged is forensically analysed. “This expensive saga has been dragging on for at least nine years and already cost the hard-pressed taxpayer millions of pounds. “Privatisation of these services at MoD bases raises serious concerns for national security. Our case has been strengthened by the recent collapse of the outsourcing giant Carillion which was not exactly an advertisement for the benefits of privatisation. Beyond job losses, what happens if one of the firms – much like Carillion – goes bust? Taxpayers will again be left to pick up the tab for private failure.